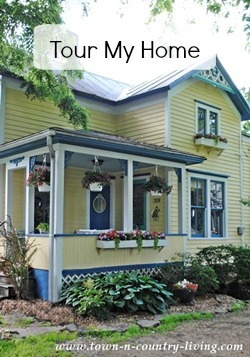 Do you shop flea markets? If you do, have you ever been to one where nothing jumped off the shelf and screamed “Take me home!” And so you leave empty-handed and disappointed, like a kid at Christmas who didn’t get that Red Ryder BB Gun. 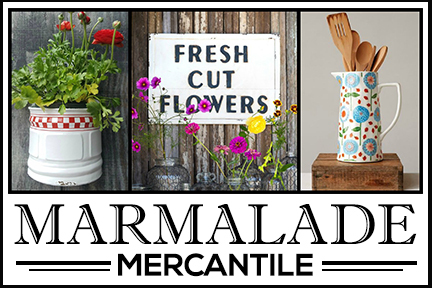 Our flea market rolls into town once a month and it’s a doozy! The last two times I went nothing really tugged at my heart strings, but I’m happy to say that wasn’t the case this past Saturday. I found a few things that I really liked. Wanna see my flea market haul? 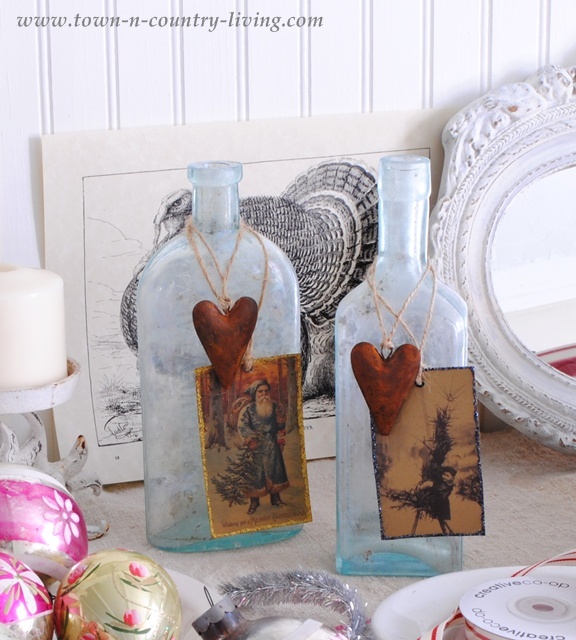 Vintage Christmas, white ironstone, a small mirror, pretty bottles, and a few crafting supplies, and vintage graphics are some of the lucky items that followed me home. It looks like a mess strewn out on the table! Big and small shiny baubles were seen throughout the flea market. Best price I could find was 3 ornaments for $5. The faux mercury bottle with shiny feather was $12. 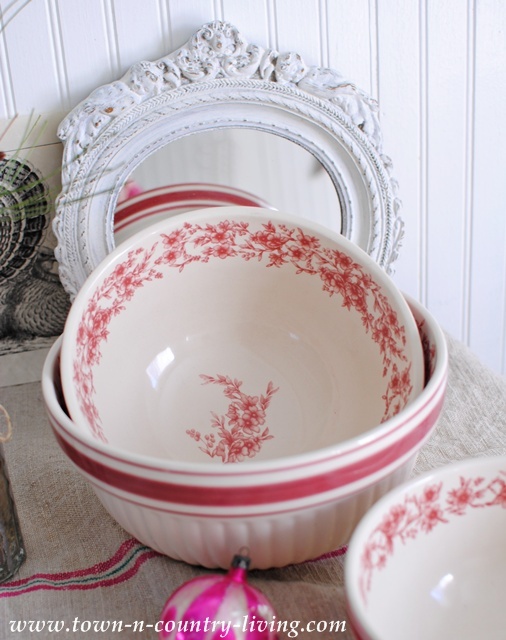 This set of red and white nesting bowls is perfect for Christmas. 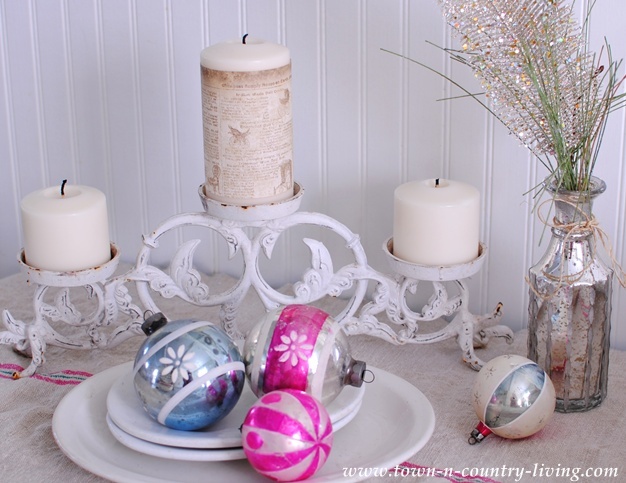 They’re not antiques, but they’re pretty and will look fabulous in my kitchen this December. Before we ventured out to the flea market, I vowed not to buy any mirrors. I told myself I wouldn’t buy anymore until I hung the last ones I bought. But then I saw this white one that’s hiding behind the bowl. It was only $10, after all! I found this lovely red and white ribbon at Jennifer Rizzo‘s booth. I bought the 2 ironstone plates from another vendor at $3 each. I found a spool of tinsel twine too – shown in the first photo. Do you like the wrought iron shabby chic candelabra I found? It was one of the first things added to my flea market haul this weekend. 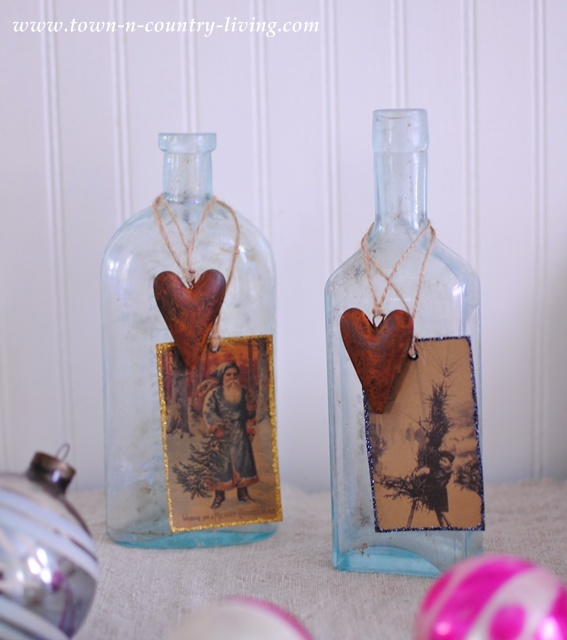 I absolutely love these vintage aqua bottles that I spied in the last booth we visited. The bottle at left was $6.50 and the one on the right was $5.50. The same color-shaped bottles half the size of these sell for those prices! And that’s without the decorative embellishments. These vintage graphics came home with me too. I found them at Paper Patty’s booth. 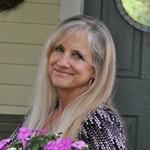 She’s at the flea market every month and has items for sale in a local store, too. I have a plan for both these graphics so stay tuned to see what I do with them. The platter holding the ornaments on the left is the final item in my flea market haul. I honestly don’t know which item I like the best, but now I’m one step closer to being ready for Christmas! 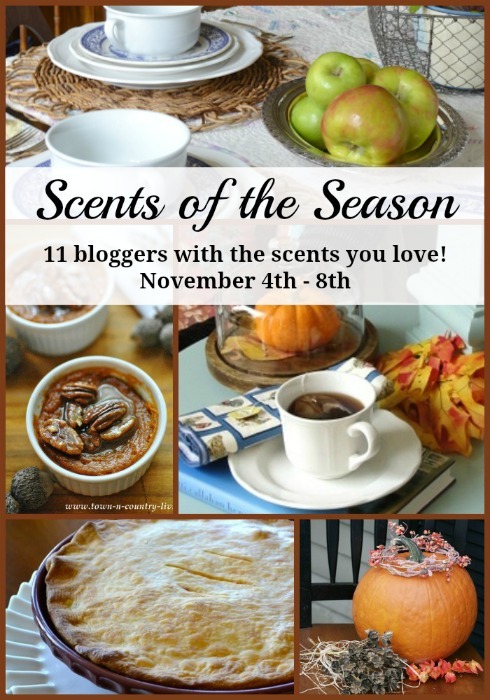 But it’s still Fall, and to celebrate … I’m joining 10 bloggers this week to enjoy the Scents of the Season. Join me on Tuesday when I show you how to make cinnamon scented candles! Here’s the schedule for Scents of the Season this week … you don’t want to miss it!! Wow, lovely finds. I am on the lookout for some mercury ornaments too! Hope you have a wonderful week. I went to Kane County too on Saturday. I am surprised I did not run into you. It was not crowded at noon when we went. I found some great scores too. The prices seemed great too with it being towards the end of the flea market season. Love those vintage ornaments you got. Very pretty. I’m lovin those bowls girlfriend! Super cute! You really got some great deals this time. You scored some great things. 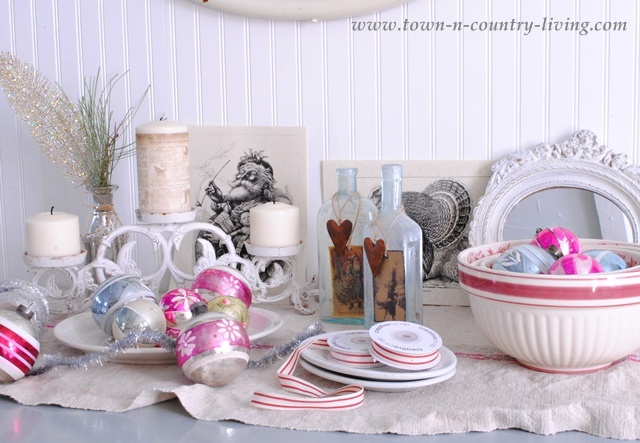 love all the vintage ornaments, so many great things!! So pretty! I love decorating with mirrors too. You can’t have too many. The red bowls are gorgeous! Great finds! You found some great things, Jennifer! Almost makes up for when you go on previous visits and find nothing. I hate when that happens because I usually get myself so excited to find some new things and then disappointment when you don’t. 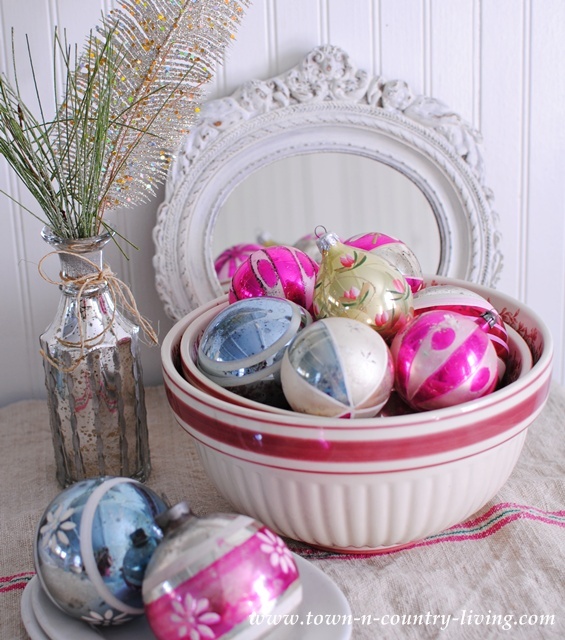 Love the bowls and the ornaments are all beautiful. They look great just put together in a bowl, too. Lucky girl, I love your haul I have been looking or similar ornament for ages. Great deals! So jealous :o. I love those bowls. Can those bottles are the cutest.Great now I hear Xmas music in my head. Its to soon. You found such good buys on such pretty things! The way you arrange and photograph them makes them even more beautiful. 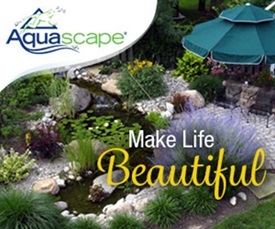 I haven’t made it out to Kane County since June– 🙁 It seems like I’m either babysitting my grandchildren (which I love) or working on the project pile in my garage/planting bench. I do not like red, but I am in love with your red bowls. What great finds. I hate when I can’t find SOMETHING to bring home…what a haul you got this time! I especially LOVE those bowls!! 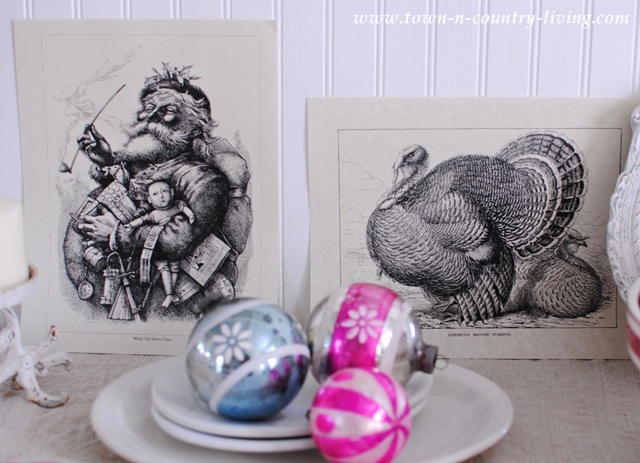 I have used flea market hauls for years at Christmas, and love them. 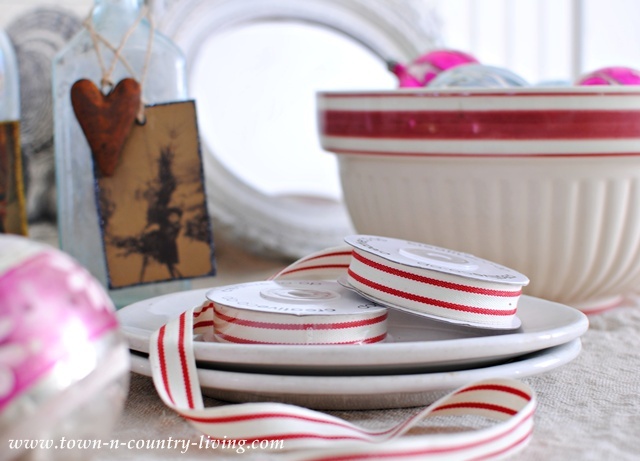 Any red and white or even green and white bowl or platter or dish… love them all… and I love your haul, too! Fabulous haul!!! 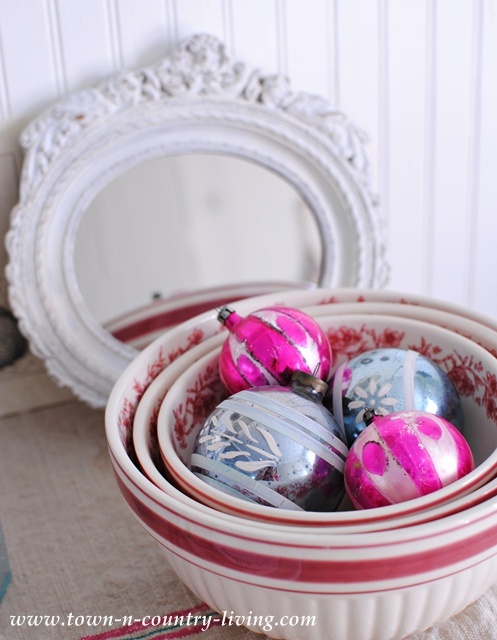 I always love vintage ornaments, and your ironstone bowls are perfect for the season. Beautiful candelabra! What a fantastic haul you got your hands on!!! I love everything that you showed. By the way, that mirror is gorgeous and so are the vintage Christmas pictures. WOW … you really got some neat stuff. I would just about name everything to tell you what I like best. 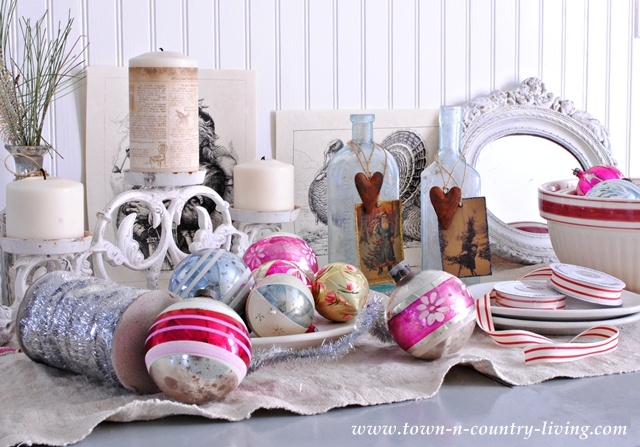 Stoneware and vintage ornaments are wonderful. I love your flea finds. Especially the bottles. love the ones with the heart and the pictures strung around them. love the candleabra too. I haven’t been to the Kane Co flea market (or any flea market) in a couple of years. I am especially loving the bowls and the candelabra – beautiful! Awesome haul you have here…luv those shiny brites.